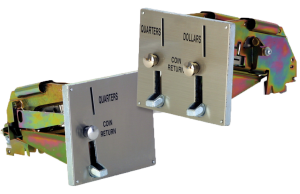 Our coin chutes/slides are available in five base models, each with a range of optional features. All models come with our patented V-notch sizing system, which provides a greater rejection of slugs. Our chutes/slides are made in the USA and are backed by a 1 year warranty. Thick hardened front plate to protect slides from direct attack. Sliding stainless steel gates protects from tampering and rusting. Stainless steel sizing dogs provide superior protection from direct slide forcing. 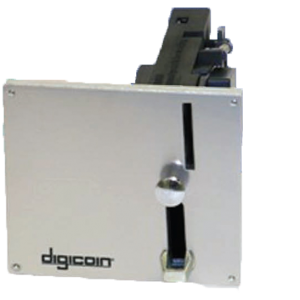 Hardened steel V notch coin sizing block means greater rejection of slugs, tile and foreign coins. Hardened steel buffer plate works with the stainless steel dogs to give the ultimate protection from direct slide attack. Available Denominations: $0.50-$3.50 USD.  Operational settings are also available for international coinage. Greenwald Industries’ 4100 Series Coin Drops’ unique design allows the drop to be highly selective to assure proper coin acceptance. 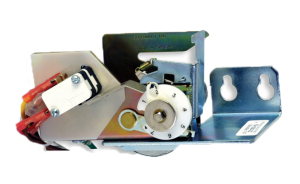 Stainless-steel face plate and all-steel construction are engineered to exacting original equipment manufacturer standards. 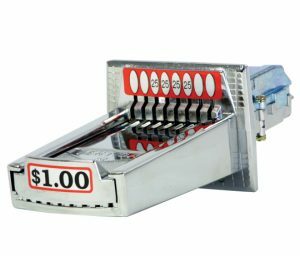 Coin drops are specifically designed for machine manufactured by ADC, IDC, Maytag, SpeedQueen, UniMac and Whirlpool. Foreign currencies available upon request. 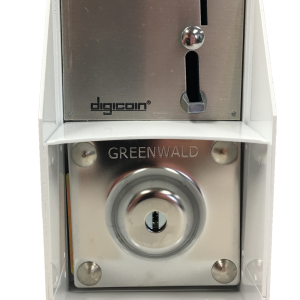 Greenwald Industries’ DigiCoinTM, the only Digital Coin Acceptor that is programmed in the factory to accept your preferred coins and tokens. 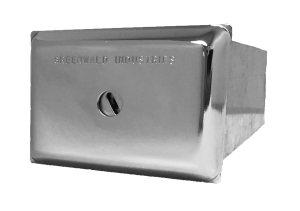 Greenwald Industries’ Money Boxes are constructed of one-piece galvanized steel for added strength and rust resistance. 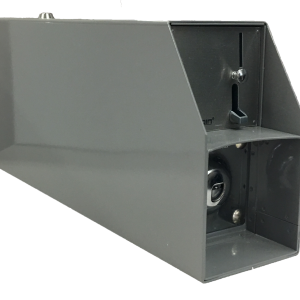 The thick flanged back-plate provides additional protection for a direct attack. We offer a wide choice of locks from standard to high-security, and many unique sizes to fit metercase variations. 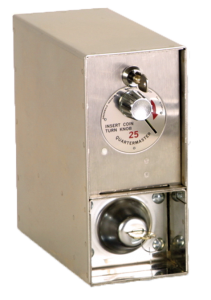 Greenwald Industries’ complete Meters are designed to operate electrical vending equipment where time operation is necessary. In addition to laundry equipment, the meters provide monitored service for lighting and water consumption applications. 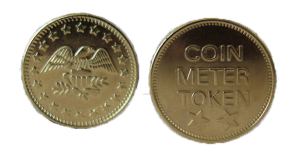 All meters can operate on US currency or tokens. 4310 G4: Equipped with 5900 quartermaster rotary meter, pricing options of $0.25, $0.50, $0.75 and $1.00. Time accumulation, multiple coin start and other options available. 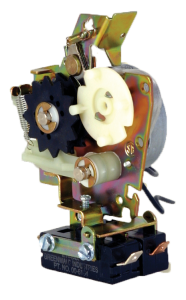 Greenwald Industries’ 7600 Series Slide Activated Starters are compact electromechanical devices that provide a simple solution to start a front-loading washer upon coin insertion. 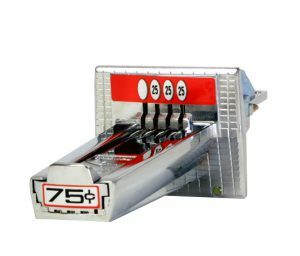 Our starters offers the flexibility to choose between one and seven coin slide insertions. 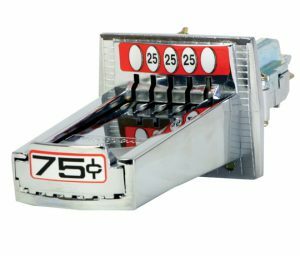 The desired number of coin insertions is easily “dialed in” by positioning a tab in any one of the seven-marked positions on the CAM. Greenwald Industries’ 5000 and 5900 Series Timers offer an easy solution to increase or decrease time settings on electrical appliances. 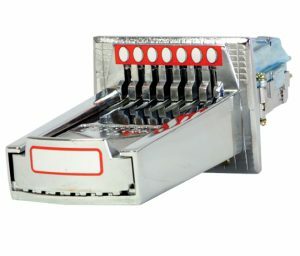 The 5000 Series model is a slide activated timer that accumulates time with each coin slide push. 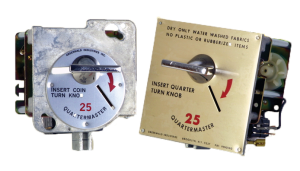 The 5900 Series models – the exclusive QuarterMasters by Greenwald, are coin-activated electromechanical timers that accept most currency including international coinage. 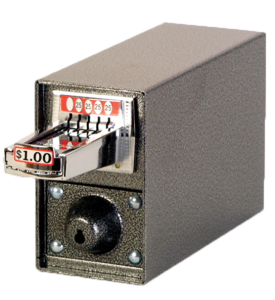 Greenwald Industries’ Token and Tokettes can be used for pricing flexibility in many types of self-service installations, such as laundries, car washes, game arcades and many more. The value can be varied by the owner at will—perfect for specialty promotions and advertising programs. 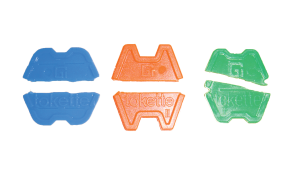 Using tokens or tokettes is a low-cost way to enhance security and reduces vandalism. Greenwald Industries offers a variety of combinations of locks and keys to meet your specific security needs.